Winwick is 5 miles south east of M1 junction 18. It will be signed from the A428. In all classes competitors must wear a crash helmet which meets one of the following standards: British All PAS15, BSEN1384 or European EN1384 provided they are BSI Kitemarked or SEI. All competitors must also wear a British Equestrian Trade Association (BETA) approved and appropriately labelled Level 3 body protector manufactured in the year 2000 or after. The Orchard, Walcote Road, South Kilworth, Leicestershire, LE17 6EQ. Hunter Trial Over the hunter trial course – fences 2’ to 2’6”. The winner will be the competitor with the least number of penalty points closest to the bogey time, which will be set at a fair hunting pace. 10 penalty points will be awarded for each refusal or run out. Pairs Hunter Trial Over the hunter trial course – fences 2’ to 2’6”. The winner will be the pair with the least number of penalty points closest to the bogey time, which will be set at a fair hunting pace. 10 penalty points will be awarded for each refusal or run out. Pairs Team Chase Over the Novice Team Chase course- maximum height of fences 3'3" with some bigger hedges. For teams of two members, the time of the second member to complete the course to count. The winner will be the pair closest to the bogey time, which will be set at a fair hunting pace. 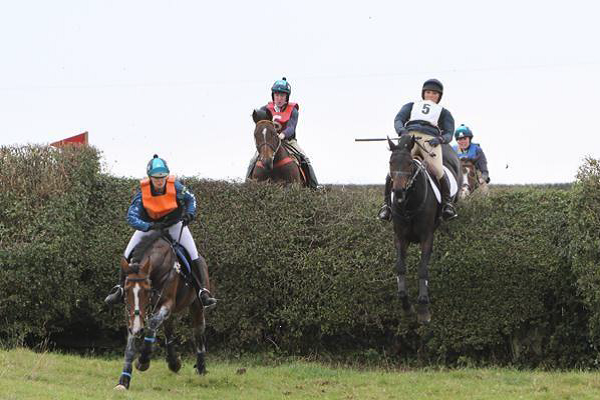 Novice Team Chase – Bogey time Maximum height of fences 3'3" with some bigger hedges. For teams of 3 or 4, the time of the 3rd member to complete to count. The winner will be the team closest to the bogey time, which will be set at a fair hunting pace. Novice Team Chase – Fastest time Maximum height of fences 3'3" with some bigger hedges. For teams of 3 or 4, the time of the 3rd member to complete to count. The winner will be the team achieving the fastest time. For teams of 3 or 4, the time of the 3rd member to complete to count. The winner will be the team achieving the fastest time. Competitors to be 16 or older on the day of the event. All entries to be made online at www.horse–events.co.uk. Paper numbers will be issued for use with event bibs. A limited number of bibs will be available to hire. It is a requirement that all participants carry third party insurance for not less than £5m. It is also strongly recommended that all participants have personal accident insurance. 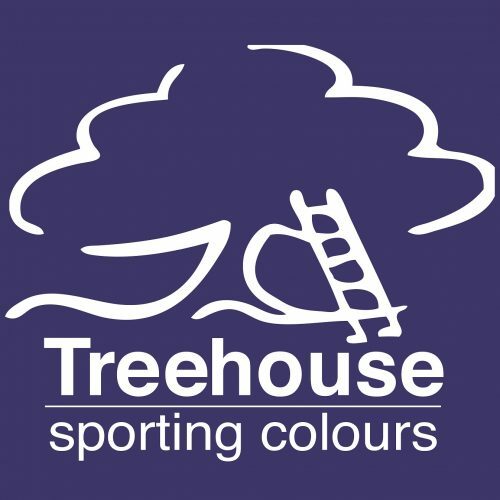 The pairs and team chase classes are run under the auspices of the MFHA governing body and are bound by their rules. These may be found at www.teamchasing.co.uk/MFHA. Save for death or personal injury caused by the negligence of the organisers for which they are legally responsible, neither the organisers nor any representative of the organisers accepts any liability for any accident, loss, damage, injury or illness to horses, ponies, owners, riders, spectators, land, vehicles, contents or accessories or any other person whatsoever, whether caused by their negligence or in any other way. Class 1: Prizes: 1st £25 2nd £15; 3rd £10. Rosettes to 6th place. Class 2: Prizes: 1st £50 2nd £30; 3rd £20. Rosettes to 6th place. Class 3: Prizes: 1st £60 2nd £30; 3rd £20. Rosettes to 6th place. Class 4: Prizes: 1st £100; 2nd £60: 3rd £40 Rosettes to 6th place. The John Mills Memorial Trophy will be presented to the highest placed team consisting of Pytchley members. Class 6: Prizes: 1st £400; 2nd £240 3rd £120. Rosettes to 6th place. Class 7: Prizes: 1st £180; 2nd £120: 3rd £80. Rosettes to 6th place. Winwick Grange is home to the Pytchley Hunt team chase & Hunter Trials.